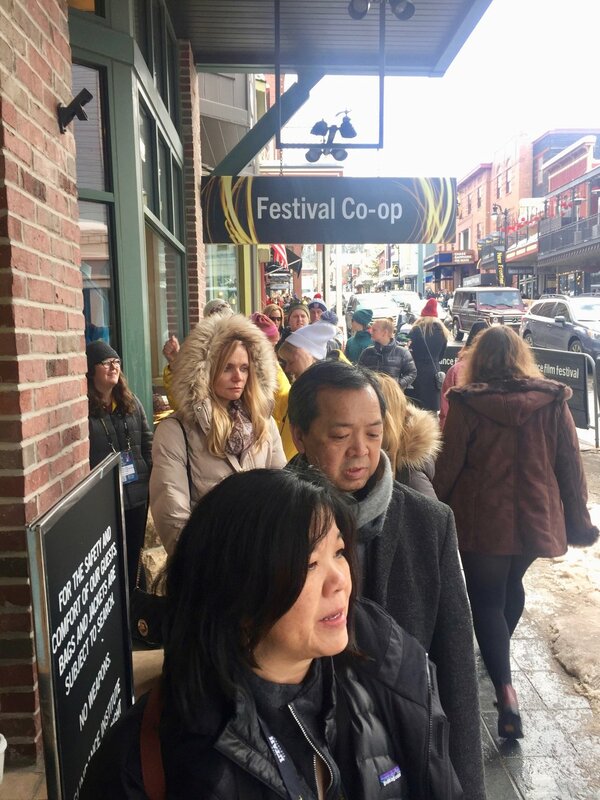 Located in the heart of Main Street, the Festival Co-op is venue that is open to the public during the festival. Featuring several brands that have partnered with Sundance, it provides a space for movie goers to engage in various offerings. The 2017 Co-op featured activities and giveaways from American Airlines, Francis Ford Coppola Winery, SundanceTV, Sundance Now and S'well. In addition to sponsor activations, the Festival Media Center is located on the 3rd floor. The Media Center offers multiple options for interviews including two interview rooms and a balcony overlooking Main Street. Designing the venue's space, including common area and 3rd floor Media Center, ordering furniture, floral and signage. Tracking projected and actual expenses of our venue's budget. Managing onsite operations throughout the Festival and ensured timely resolutions to issues as they rise. Creating the schedule and training materials for 16 venue volunteers including my Assistant Manager. Providing leadership during setup, operations and tear down. For those who were looking to warm up in the midst of the festival's blizzard, American Airlines offered great comfort by providing coffee, cider and hot chocolate. In addition, they offered several giveaways including hand warmers, C.O. Bigelow Rose Salve and Hand Sanitizer as well as Bullrest travel pillows. Finally, featured all across Park City were the flight symbols representing an airport code. Guests would post a photo of the flight symbol on social media, where they were entered to win a trip to the destination the flight symbol is designed after. Located in the Co-op was the flight symbol for London Heathrow Airport. Coppola Wines featured a fabulous cork mural by Scott Gundersen based on the movie Jaws. Halfway completed before the festival, Scott invited guests to contribute to the mural by signing a cork. Over 290 hours, 30,000 nails and 25,000 corks, this mural was fan favorite during the festival. In the common area, Coppola displayed the artwork of Laurent Durieux, featuring posters of films by Sundance Alumni. S'well partnered with Sundance to launch their "1 Million Bottle Project". By giving away 6,000 9oz. bottles in the Co-op alone and having guests sign the pledge to go "plastic free", the have a goal of eliminating 1million plastic bottles from entering our environment. Hugely popular, the Festival Co-op had lines almost every day with guests waiting to take the pledge.